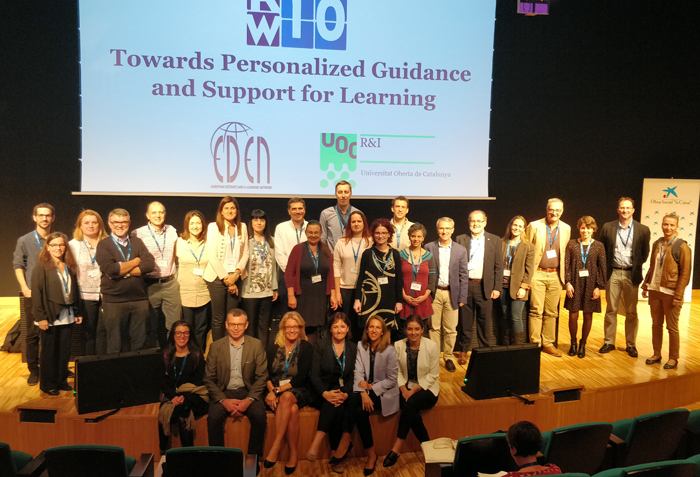 Just back from the 10th EDEN Research Workshop in Barcelona on “Personalized Guidance and Support for Learning”. The event – fruitful as ever – established many positive moments and contributions to research of ODL, but also Community development, as such. I will start with the Community. 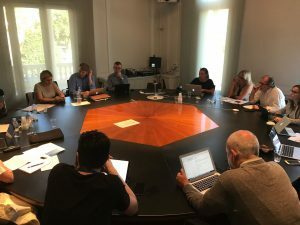 Upon establishment of the Council of EDEN Fellows and its Board, the Fellows set upon the task of identifying the “wicked problems” currently challenging EDEN and its network. Major themes emerging from this workshop included: current and future open education trends within socio-political contexts; the roles, responsibilities, and values of the members of the EDEN community; and strategic development of EDEN (2030). The next task of the Council is to begin addressing these challenges within workgroups, with the Board of the Council moving forward in developing an operations framework for the Council. A progress report will be given at the next meeting of the Council of EDEN Fellows at the EDEN Annual Conference in Bruges, Belgium in 2019. Congratulations on a productive and successful meeting in Barcelona – and to the newly elected members of the Board of the Council of EDEN Fellows! The PhD Student Symposium was organized on October 24th, 2018, which received very positive feedback on being the most useful support scheme for researchers, available from EDEN senior researchers, professors, from international Panels set up at the Universitat Oberta de Catalunya. Thanks to all EDEN Fellows and Senior Fellows who dedicated their time and efforts to analyse PhD theses and consult PhD students on their research. Finally, EDEN 10th Research Workshop was concluded with the statements as contribution to research in Open and Distance Learning, including challenges raised, actions recommended. 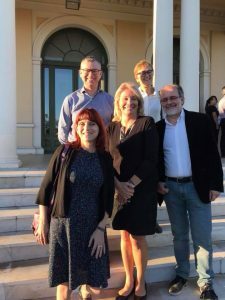 The statements have been established by great colleagues from the Universitat Oberta de Catalunya with the open collaboration and contributions from the broad EDEN community and workshop delegates. Here is the document – for your reading. Enjoy!